This resource aims to introduce a creative, contemporary approach to using morris within the secondary dance curriculum. 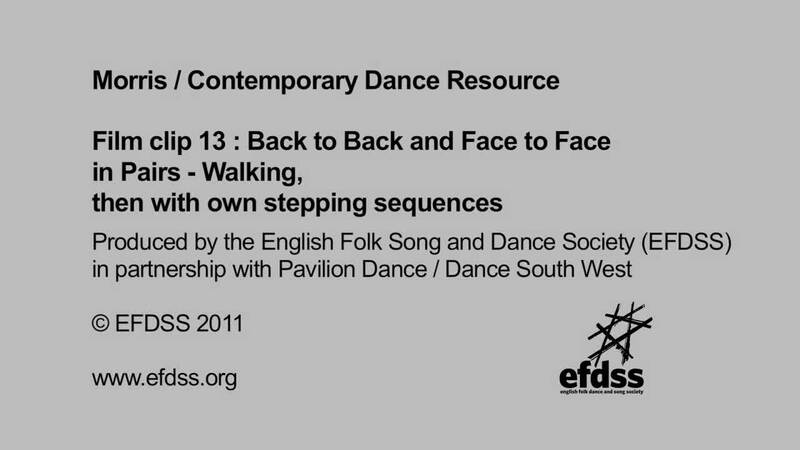 It is for teachers and students teaching and learning dance at key stages 3, 4 and 5 (11 plus years of age). 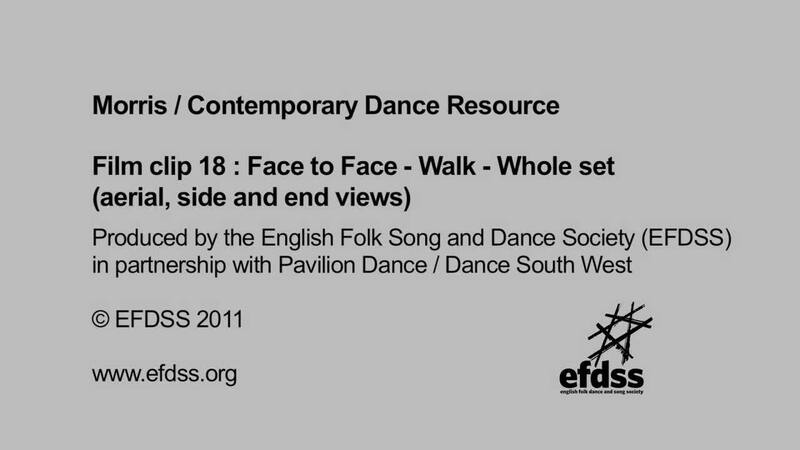 It was produced and developed by the English Folk Dance and Song Society, in partnership with Pavilion Dance / Dance South West, and is based on Spring Force, our exciting youth dance project,fusing morris with contemporary dance, which took place 2010. This resource comprises freely downloadable: written notes, film clips and audio files – these are available from the tabs at the top each panel of this resource. Read on for further information. 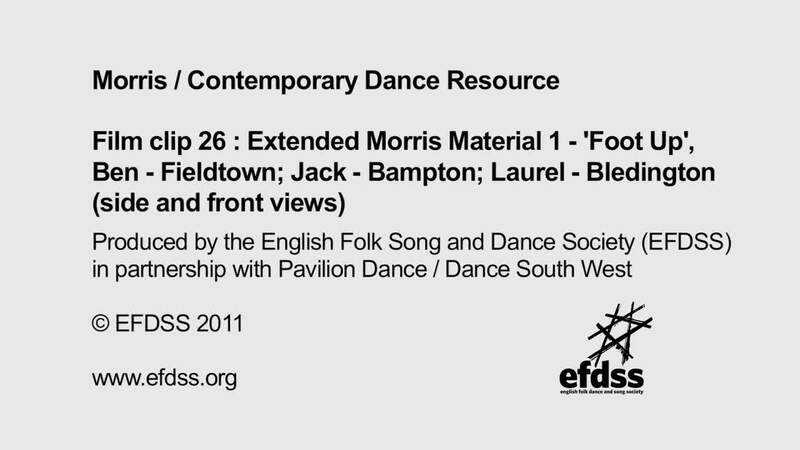 Morris Contemporary Dance resource by Benjamin Dunks and Laurel Swift: a comprehensive set of written notes providing two 6--week units of work, with detailed explanation of the components that make up morris dances, background information on morris and suggestions on how the material could be used as a creative project within a contemporary dance context. As part of our Morris Contemporary Dance resource we have produced a range of short films. These are designed to be used alongside the written notes and audio files to give you a clear idea of how the steps and figures are performed, as well as ideas for creative activities. 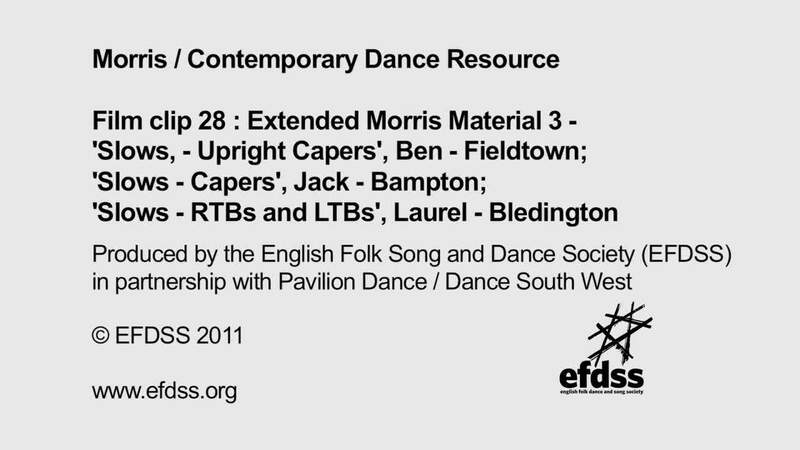 They have been specially filmed to show the various elements of morris that were used in the creation of Spring Force including morris stepping, arm movements, sticking and figures etc. They are shot from different angles to make them as easy to follow and user-friendly as possible. The page for each section has all the relevant films attached to it, and the films can be played online or downloaded as either an .mp4 or .ogv audio file. You will probably need to right click the appropriate download links and then select "Save as...". To accompany our written notes, we have created a series of freely downloadable audio files. They provide various versions of morris tunes specially arranged and recorded, by folk musician Robert Harbron, for using to accompany the dance exercises and short completed dances. There is a page for each tune, and the audio files attached can be played online or downloaded as either an .mp3 or .ogg audio file. You will probably need to right click the appropriate download links and then select "Save as...". This section has the following films that you can download from the film tab at the top of the window. Each video file can be played on this web page or downloaded as either an .mp4 or .ogv audio file. You will probably need to right click the appropriate download links and then select "Save as...". This resource is free to use. We would love to know who you are, how you are using it and how you think it could be improved. Your feedback is vital to the resource's development! Please email education@efdss.org. The Morris Contemporary Dance resource was produced and developed by the English Folk Dance and Song Society (EFDSS), in partnership with Pavilion Dance / Dance South West, and is based on Spring Force, our exciting youth dance project which fused morris with contemporary dance. This section has the following films that you can download from the film tab at the top of the window. The film numbers are consecutive from the previous section. 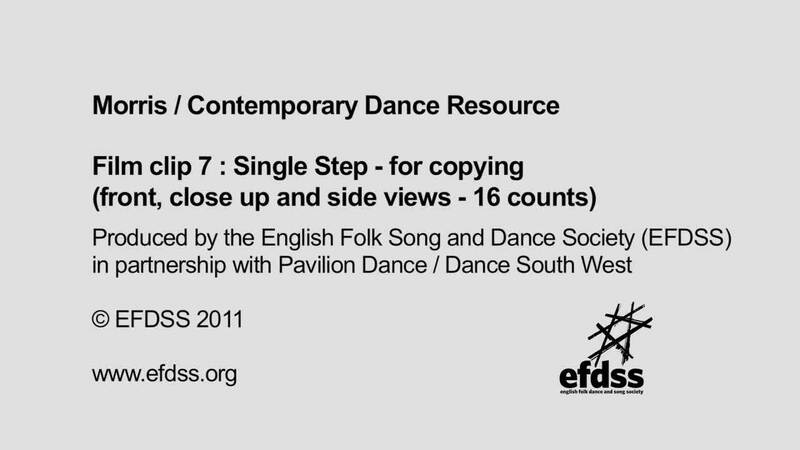 As part of our Morris Contemporary Dance resource we have produced a range of audio recordings for the dances included in the pack. These are designed to be used alongside the written notes and film clips. This section has the following audio recordings that you can download from the audio tab at the top of the window. The audio recording numbers are consecutive from the previous section. Each audio file can be played on this web page or downloaded as either an .mp3 or .ogg audio file. You will probably need to right click the appropriate download links and then select "Save as...". 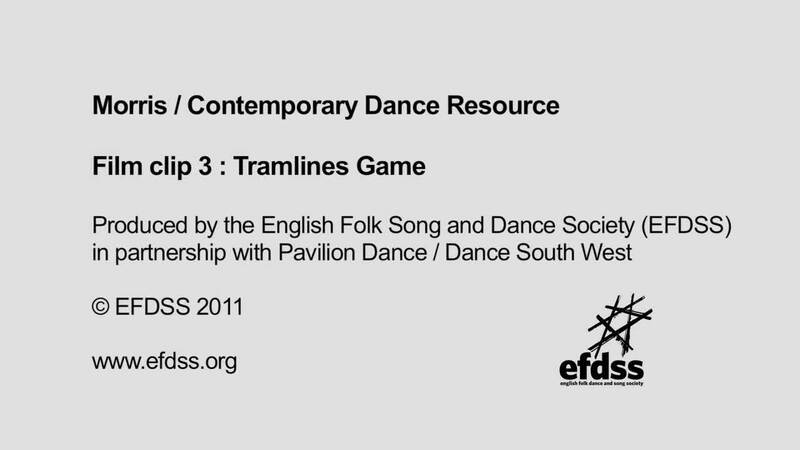 This resource is free to use. We would love to know who you are, how you are using it and what you think of it. . Your feedback is vital to the development of our resource bank! Please email education@efdss.org. 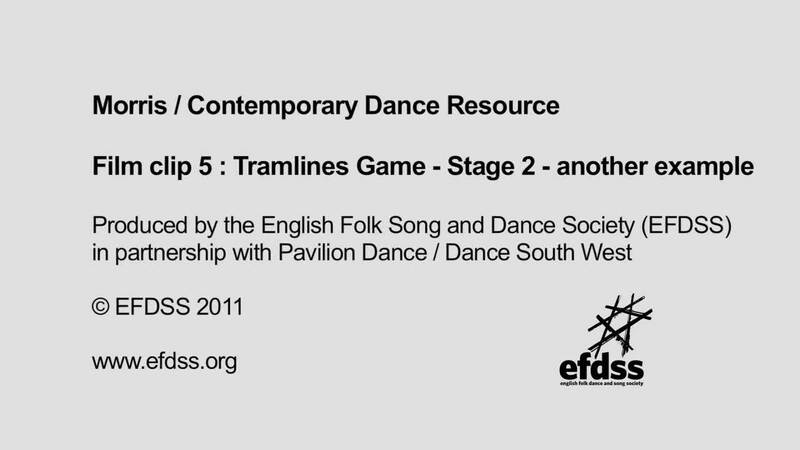 The resource pack itself is clear, and sits alongside the video clips perfectly. Everything is provided ready for you, as the teacher, to master the art of Morris! Students in a diversity of school settings have engaged with this resource in a really positive way. Initial reactions from both teachers and students was one of uncertainty at the idea of trying such a traditional form of dance, however, what was soon realised was that it is accessible for a range of age groups and abilities, it focuses and challenges the students... and they had fun! [r1]New carousel page at the end?